What an incredible day Wednesday was! 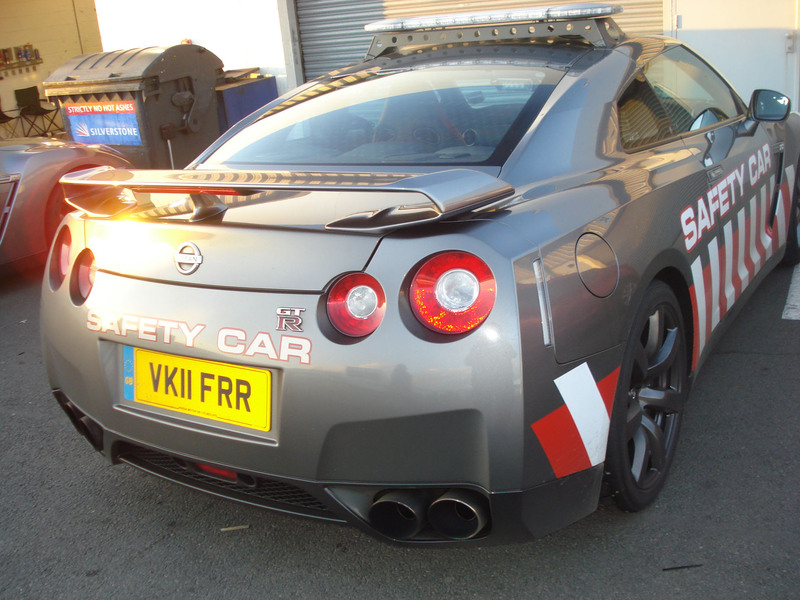 Nissan hosted what must be the biggest GTR event yet at Silverstone yesterday to introduce the 2012 GTR, meet GTR god Mizuno and get on track in your own and their cars. 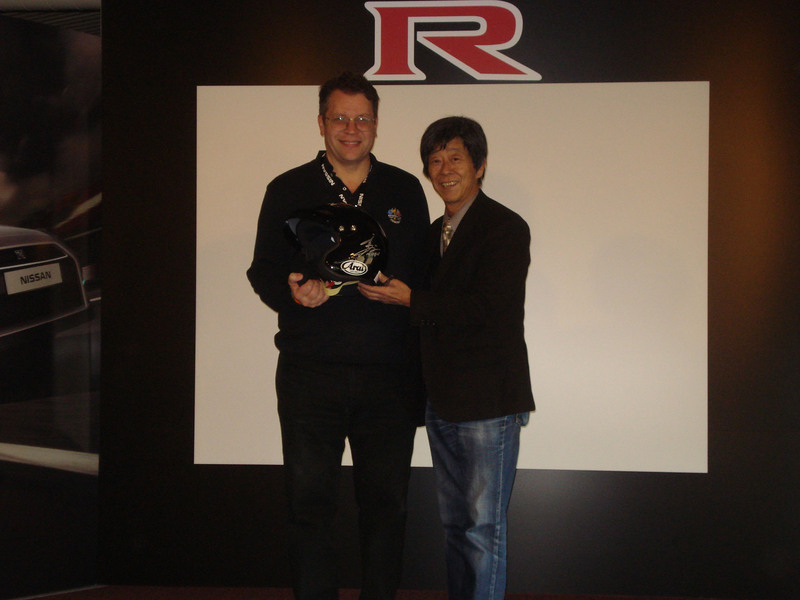 This is the first time Mizuno has been to the UK and he gave a very interesting presentation on the evolution of the GTR, the 2012 updates and a hint of what is happening in the future. When he arrived on stage he knelt down and bowed to the audience, quite frankly we should have been the ones bowing down to him. 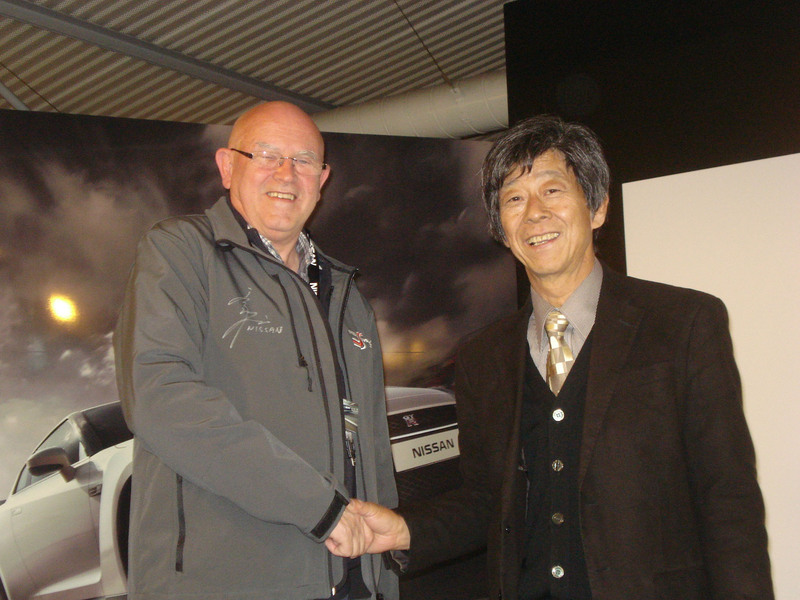 He is so passionate and knowledgeable about the GTR and such a gentleman. Can't say anything though due to the press embargo until 7th November. We then got a chance to thrash our own cars round the GP circuit after a free pre track inspection. It was damp at first and had a couple of tank slappers at Club and Luffield so decided to wait for a dryer line while it cooled down. Three other guys also spun off. Eventually found myself being overtaken by GP1 drivers Michael Krumm and Jamie Campbell-Walter that were racing each other in 2011 cars with passengers. Managed to keep within about 400m of them after about four laps which surprised my instructor, but tyres are now worse for wear and brake pads were smoking nicely once back in the pits. Finally there was a timed gymkhana with two 370Zs racing each other on a tight coned course in second gear. The key to winning this was not to drift (which is what the Z is great at), or go into a corner too fast and understeer. We were one of the last to do this and the instructors reckoned a 50 second time was needed to win it. I came in at bang on 50.0 but was pipped by one of the guys in our group who won it with a 49.8. 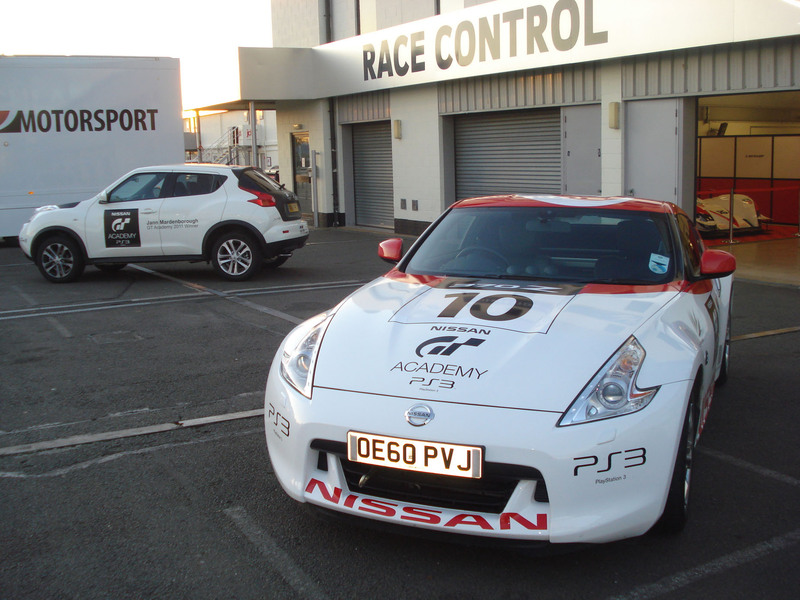 Huge thanks to Nissan GB who had hired the entire circuit for the day, all the garages, the full GP track, hospitality, cars, racing drivers, extensive support personnel even free pre and post track inspections. They even gave out photos of the drive in the 2011 cars. Nissan really do not mess about when it comes to staging these types of events. Will post up some photos tonight. Chaps. Looks as though Pistonheads consider they're above any press restrictions! 8 seconds off the ring lap time......now that will be impressive! They are very naughty. May spoil their chances of being involved next time. 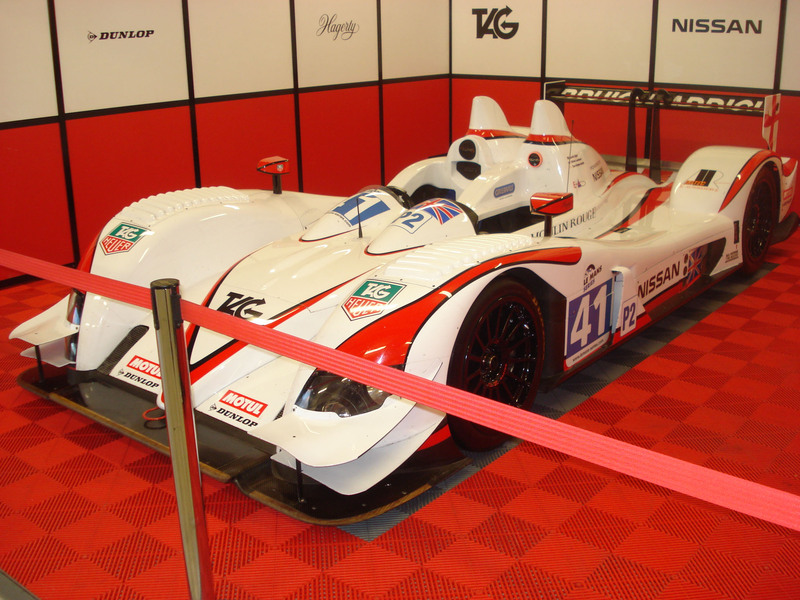 Nissan are very generous with the freebies as they were at the original race acadamy. Also got a video at the track and Michael Krumm Driving on the edge book signed. Just realised I didn't get many photos of GTRs but did find a nice Juke! Looked like a very exciting event, you lucky sod! 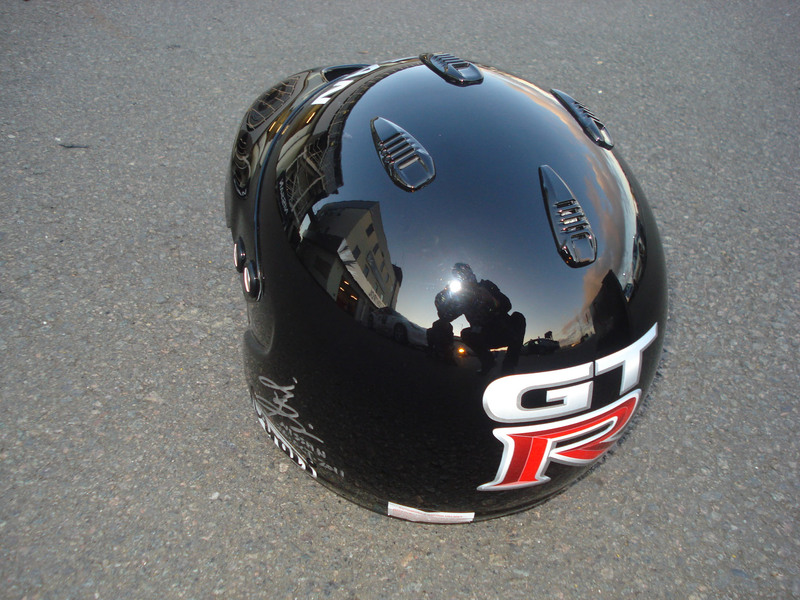 Great write up Paul, sounds like Nissan hosted a superb day, but having " a signed helmet " sounds erm painful. Paul K has pretty much said it all about the event to which I too was invited and attended. The guests there were a mixture of existing GT-R owners and HPC nominated prospective owners  about 50/50 I guess. This is the third time I've met Mizuno-san and he really is a genuine person. The R35 is very much "his" car and almost every detail has to be approved by him  which is why, sometimes, final specs aren't always settled by their own deadlines. The event we attended, was the second of two days, the previous being for press coverage. I understand that it was at the press day that 0-60 (or 62? ), and quarter mile times were measured. Any Ring times figures you may hear are speculation  they didn't manage to do any earlier this year and Spring 2012 will be the next opportunity. Some of the press info is leaking as I write but the official information release date is still 7th November  Sorry guys and gals! There's a review/preview of the MY2012 GT-R in one of next week's weekly car magazines - I forget for the moment whether it's Auto Express or Autocar. It will be interesting to see/hear how much of the restricted information leaks out then. That sounds like another one of the perks of having a GT-R.